It possibly only feels like moments since the last quarterly release from SuccessFactors, but with June comes the 1605-Q2 2016 maintenance update. There are more than 50 upgrades to the SuccessFactors HR platform this quarter and many of these reflect the changes in the way we’re now choosing to manage HR processes as much as they do the technology we’re using to enhance the efficiency of these processes. As always, some are vital, and others are Opt-In, but all require careful planning and integration to ensure that there’s no degradation in the performance of SuccessFactors and its modules, or the back-office applications it integrates with. The enhancements in this, the second release from SuccessFactors this year, add greater platform and applications integration, user mobility, workforce analytics, data intelligence, people management, and pay and rewards. While we’ve come to expect major enhancements, many of the minor features in this release are very clever and introduce huge efficiency gains for those HR professionals using the SuccessFactors platform. 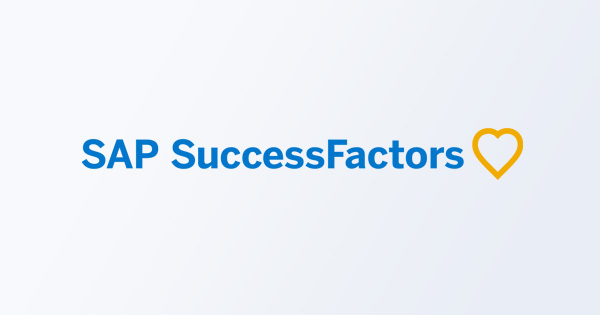 We’ve touched on those we think will have a significant impact on you and other SuccessFactors users. SuccessFactors has continued to add SAP Fiori style throughout Employee Central and its modules. While mostly only affecting the user interface, there are some new features on the home page including org chart, analytics, functionality largely remains the same. Employee Central now has localization for Cambodia and Sri Lanka, allowing organizations operating in these countries to now keep country specific employee data. This extends this capability to 77 countries. Employee Central Payroll sees three new countries added, Qatar, Thailand and South Africa, taking this total to 36. Additional new localization features include the ability to generate forms specific to particular payroll regulations. These include Dependents Declaration for Income Tax Discount for Brazil an the ADV-1 insurance form for Russia. SuccessFactors can now be integrated with content management tools including PeopleDoc and Box, automatically and in real-time. This enhances the storage and management of uploaded documents, including employee profiles, career development plans, and performance management documents, beyond the standard SuccessFactors Attachment Framework, introducing an added layer of back-up and compliance. The rules logic within the suite have been developed, adding two employment attributes to distinguish between home-and-host employment, in the case of GE, and primary-and-secondary employment, in the case of concurrent employment. This now means that data can be used in eligibility rules, tightening the factoring of employees in or out of tasks or processes quickly and easily. When time or reward related, this can save from salary overspend, as well as cut the time and cost of manual processing. The high risk of data loss when inputting ‘new hires’ has been usurped with the new ‘save function’. While an obvious feature to have, it was not previously an option and it’s set to finally remove the frustration of records being lost during the data entry process. The Q2 release also brings the option to hide / mask dates of birth and Social Security Numbers in pop-ups, increasing confidentiality, and again cutting out manual admin processes. To stop workflows from stalling, an automatic escalation path has been added. Within set parameters, an action will be moved forward to the next specified person. This save time, maintain process and productivity, and ensure employee engagement remains high. This is an Admin Opt-In function. This is now the main administering time and attendance admin tool. All processes relating to time and related payments, including illness and absences, are now created and edited in the Workbench. Continuing this theme of enhanced people administration, Apprentice Management now includes a calendar showing where and when each apprentice has been allocated. Another smart new feature is ‘name format support’. This standardizes the name formats used in each country as records are added to Employee Central. These present names in People Profiles and the User Directory in a common format. Again, simple, but adding huge efficiencies to multiple processes. Once again, focused on better planning and data management, the advanced side panel for Position Management provides at-a-glance insights into the most valuable employee related data for each position on the org chart. There are several sections within this: position details, history, incumbent details, hierarchical, and recruiting information. This is a universal, Admin Opt-In change and therefore needs to be factored into integration planning. Using the Position Management panel, recruiting integration is now based on common object APIs. Any position created this way will load all job profile related information into the requisition. This is another hugely time saving option, and one that’s ideal for standardization of roles across an organization. This is an Admin Opt-In item and will require any previous integration APIs to be switched off. Performance Management has seen a number of usability enhancements, and has been SAP Fiori switch enabled introducing the option for a personalized, responsive and simple user experience across the user’s choice of devices and deployment options. The Goal Management UI has been unified to align with the rest of Employee Central, but also now provides users with visibility of Continuous Performance Management via a setting in the Administration Center. ‘Out of Turn Access’ allows processes to be reviewed out of sequence to prevent bottlenecks. This is great for reviewing shared and matrix documents. There is a safety catch to ensure no processes are missed. The Performance Form Tabs UI has been redesigned for the Performance Goals, Development Goals and Competency sections on the PM form. Two columns of data now replace one, and the number of lines of data shown can be pre-set, cutting the time it takes to scroll through records, and reducing the margins for error. ‘Print and PDF’ issues on the Performance Form have been fixed, and formatting issues in Goals now include the ability to delete consecutive competencies on a PM Form. Other minor features include replacing the Performance Form based on an EC job change framework with an Intelligent Services event, and Mass Route Forms, using a .csv file, can now be selected and routed backwards or forwards to simplify mapping between source field and destination values in look-up tables. There are now 32 intelligence services in SuccessFactors. The focus on mobility continues to be strong, and reflects the feedback we’re continually receiving from users who highlight mobile access to HR tools from any device as a huge win in the administration of HR, especially self-service employee admin processes. Development for Android devices now matches that for Apple devices, making SuccessFactors equally compatible across all common mobile platforms. It’s not an issue if employees don’t have their own device, with the Q2 release ‘kiosk-style’ access to multiple personal profiles, data and information on SuccessFactors can be set-up. This is ideal for environments where employees are in non-office based roles such as manufacturing, retail and healthcare. QR code access to SuccessFactors via mobile camera functions can now replace the 8-digit activation code. The new P2P integration is the worst kept secret in this release, and it is a major innovation. New adopters of SuccessFactors no longer need middleware, such as Boomi or HCI to integrate Employee Central with Employee Central Payroll. This is now seamless, making it far quicker to provision the core HR system. For existing users, there is no need to migrate immediately, but moving forward, there will be future functionalities that are only available with P2P. For more clarity on this, and details on how you might be affected, please feel free to contact one of our SuccessFactors experts who will talk you through your options. The new single click “analytics panel” in SuccessFactors HCM provides immediate insight and guidance to HR and managers. This vital feature increases managers’ productivity by helping them clearly understand each situation, and saves time by minimizing the need to navigate away from where they are working to find the information they need to take action. This also frees up HR, IT and support resources from having to address routine inquiries, especially during peak periods. A number of design changes to simplify the look and feel of the training module. The long-awaited unified API has been added to both BizX and Learning roles, introducing the option for a Learning Administrator role to be assigned. New role-based permissions mean external learners can now have access to SuccessFactors, which is big news for organizations with a strong learning culture. Up to five custom landing pages can be set-up by admins to reduce the amount of information on each page, and rather than only admins being able to create learning collections, registered users can now collate, build and recommend their own collections. This all adds to the self-service and collaborative learning environment so many businesses are looking to create. Again, efficiency and practicalities feature highly in the updates. Interview time zones are now default to the time zone of the organizer unless otherwise set. The introduction of event subscriptions, now an option for Employee Short/Long Term Disability and Leave of Absence, means processes aren’t stalled if an approver is not available. Career Site Builder is now standalone, eliminating the need to first log-in to supporting systems to gain access. What are Your Next Steps…? 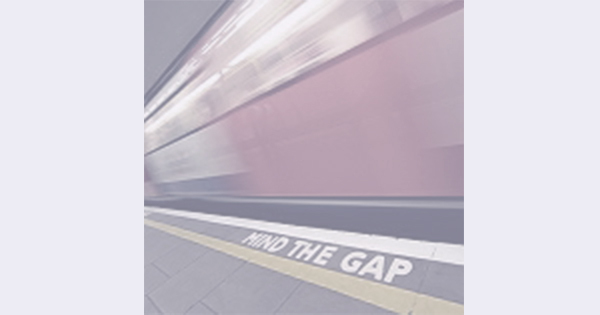 This is an expert-eye view into some of the upgrades due to existing SuccessFactors customers. All upgrades from the b1605 release will be made available as from 3 June 2016. It is worth noting that with new features, SuccessFactors also phases out features and functions that have been superseded. As of the Q4 2016 SuccessFactors release, Dashboards 1.0 will cease to be. It’s vital that you have maintained the dashboard updates. For more information on features that will be phased out over the next months, or for support with the integration of the most recent updates, please contact a SuccessFactors specialist. It’s vital that you follow the SuccessFactors integration and upgrade path to continue to benefit from its full functionality.